Formerly: "Crossing the Threshold and Tipping the Scales"
A deeper exploration of the higher-mind mirror, the physical mind's polarized reflections & letting go of negative definitions. • What does the Mayan greeting "in lak esh" mean? • How does the reality we create at the individual level connect and relate to the reality created at the group level? • Does TRE (Trauma Releasing Exercises in Japan) raise vibration? • The use of permissions slips and belief systems. • When talking about vibrational signatures of objects and of people, can we measure the signatures? • What is the meaning of the C# (C-sharp) frequency permission slip? • Is there an important tone or frequency that can be used now? • Bashar discusses unique belief systems and how everyone's perspective is correct for them. • Am I going to have kids weather or not I use contraception? • When are we going to be physically meeting our hybrid children? • I had a vision where I pop into your planet on occasion as a scientist, please comment. • Are my hybrid children learning emotional balance? 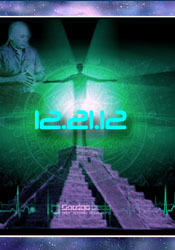 • Bashar calls up an audience member who just lost her husband earlier that day on 12/21 at 11:11 am.